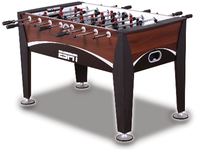 The Hartford foosball table falls in about the middle of the road when it comes to all foosball tables that Sportcraft manufactures. 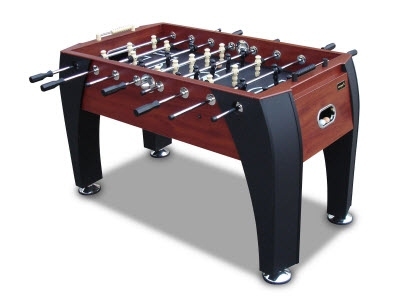 After reviewing the Hartford, we would not recommend this table to any serious foosers out there because of the lack of quality parts. 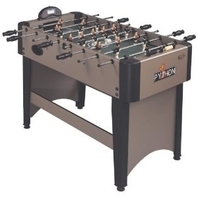 Non-experienced players may not realize the lack of quality parts because of the modern design of the Hartford, but some key features are missing on this table in order to get a positive review. 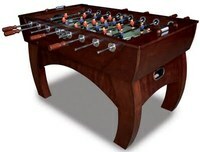 One of the worst features on this table are the robot style men that are light-weight and have a rounded toe design. 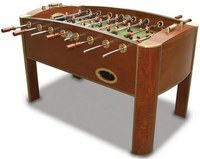 This makes ball control suffer which is one of the most important aspects to the game of foosball. 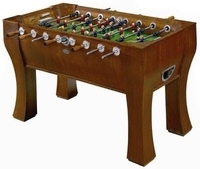 This foosball table is priced at around $330 US.